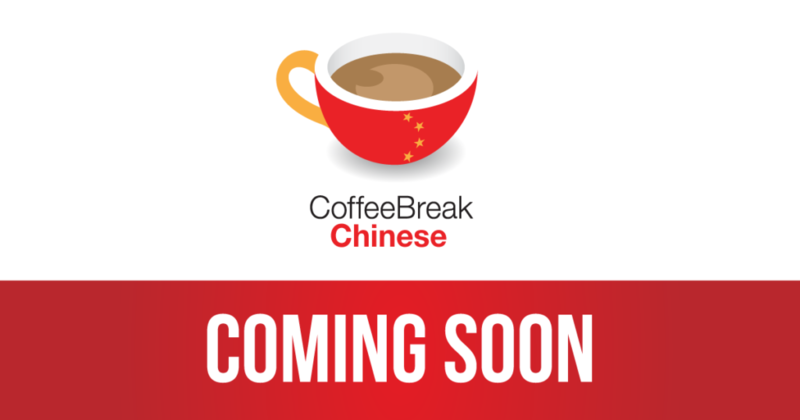 We’re over the moon to be announcing that we’ll be launching Coffee Break Chinese in early 2017, adding our fifth language to the Coffee Break series. With Coffee Break Chinese you’ll be learning the basics of Mandarin with an experienced teacher. We can’t say much more about this now, but if you’d like to be kept up to speed with our developments – and maybe even get access to a preview of some of our content, click here. Great news about offering Coffee Break Chinese in the new year. Yaaah! What an awesome addition!